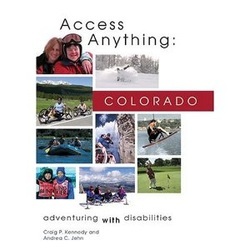 Access Anything: Colorado provides the secrets to get you there! 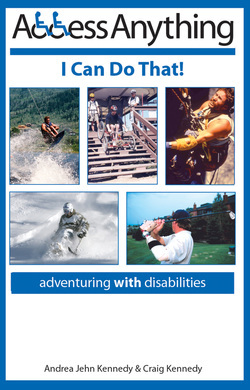 An inspirational guide to traveling, adventuring, and sporting with a disability, Access Anything: I Can Do That dives into the incredible world of adaptive sports and recreation by showcasing 45 different sports that have been adapted for people with disabilities. This one-of-a-kind guide also features essential disability travel information and tips for traveling by airplane, car/rental car, charter bus, cruise ship, and train. As an added bonus, I Can Do That! includes six inspirational interviews with world-class adaptive athletes who have helped to change the face of adaptive sports.